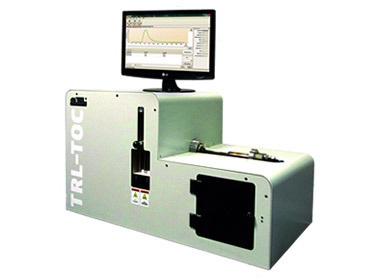 Total Carbon(TC), Total Organic Carbon(TOC), Inorganic Carbon(IC) and Total Nitrogen analysis,On: Solid samples, Sludge, Non-flowing semi-fluid samples, High-carbon and/or nitrogen containing samples Can run up to 9 grams sample of solid and non-flowing nature and up to 12mL water samples. Consumables catalyst, quartz wool, copper and tin are for minimum 2000 runs. Combustion occurs in the patented double-furnace system that assures complete oxidation of carbon into CO2 and nitrogen into NO.